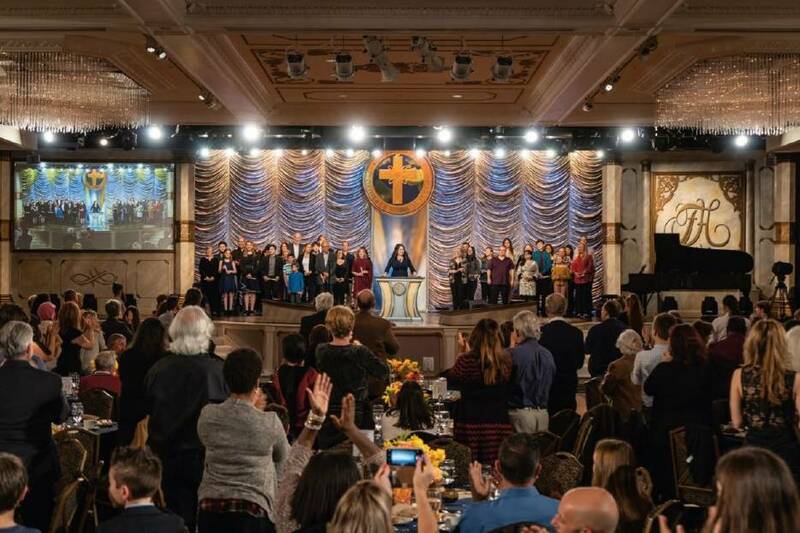 CLEARWATER, Fla. - Jan. 31, 2019 - PRLog -- On January 27th, the Scientology Volunteer Ministers (VMs) of Florida held their Volunteer Recognition Awards Banquet to acknowledge those volunteers who have given thousands of hours to help their neighbors in recent disasters. The event was held in Downtown Clearwater's Fort Harrison, the international religious retreat for Scientology. Ms. Goodsell said, "We wanted to recognize those volunteers who embody what Scientology Founder, L. Ron Hubbard, said when he created our program: 'A Volunteer Minister does not shut his eyes to the pain, evil and injustice of existence.'" Three Volunteer Ministers were then awarded for going above and beyond in their disaster response efforts. One awardee personally put in 3,500 volunteer hours in the disaster zones caused by Texas' Harvey, Clearwater's Irma, Puerto Rico's Maria, South Carolina's Florence, and the Panhandle's Michael.